Beware! CFDPremium is an offshore broker! Your investment may be at risk. CfdPremium says to be offering almost 60 currency pairs with several account types, leverage of up to 400:1 and the MetaTrader5 platform. As tested with a demo account the benchmark EURUSD spread floated about 1 pip, but that probably mirrors one of the premium account, as spreads with their Initial Account are advertised to start at 2 pips, fixed. Trading conditions put aside, unfortunately there is a fresh warning against CfdPremium by the Spanish Comisión Nacional del Mercado de Valores (CNMV) and the Italian regulator CONSOB, so if you are thinking about depositing your funds with them be sire to read this review first. As we already noted there is a fresh warning against CFDPremium, both by the Spanish Comisión Nacional del Mercado de Valores (CNMV) and the Italian Commissione Nazionale per le Società e la Borsa (CONSOB), because as it turns out, they are targeting clients in Europe without proper authorization. 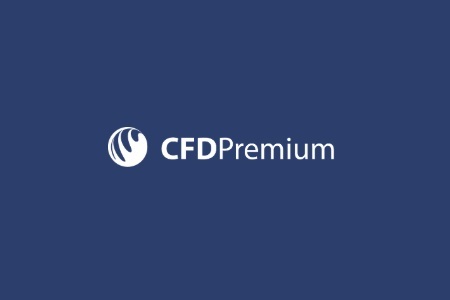 On top of that CFDPremium is quite anonymous – we are not even sure about the name of the company that operates the website, and although they say to be based in the UK, there is just an e-mail and that is all. Have in mind that if CFDPremium are based in the UK, they should be regulated by the local Financial Conduct Authority (FCA) and they are not – we diligently checked the FCA registers. So basically all that leads us to believe that CFDPremium is yet another unregulated, anonymous website most probably operating as a scam. Take a note that trading with unregulated brokers is extremely risky by definition, as the safety of your funds is guaranteed solely by the integrity of the people that operate those brokers. As you may guess quite often that integrity is not very high. CFDPremium says to be accepting payments by a number of e-wallets including OK Pay, Payeer, PayPal, QIWI, Klarna, WebMoney, Skrill and Neteller, wire transfers, bitcoins, MasterCard and VISA. The minimum deposit requirement is as high as 500 USD and that is at least twice higher than the usual deposit most of brokers would ask for. A bigger issue however are some rather unusual withdraw conditions, like for instance you will have to trade at least 300 000 USD for every 10 USD of bonus you have accepted – unless you reach that minimum trade volume requirement you will not be allowed to withdraw. On top of that CfdPremium reserves the right to impose withdrawal limits and withdrawal fees in its system anytime. And besides, if you allow CFDPremium to manage your account with the so called trading algorithms, which is an example of a conflict of interest – CFDPremium is obviously a Market Maker and will profit only when you loose money – you will not have the right to withdraw anything from your account for 6 months. This is absurd, and besides such practices like offering trading bonuses and managed accounts are banned on all regulated markets like the US, the European Union, Australia or Japan. Scammers run elaborate schemes to get to your money. They always use call centers that relentlessly call their victims with promises of swift returns, if only they agree to invest a tiny amount – 250 USD for a start. And than, if you agree to open a trading account with the scam broker – it will always be a unregulated, offshore company – soon you will be contacted again to invest more in order to get better brokerage fees and spreads. And besides, your trades might seem quite profitable for a time and the money in your account might even double. Than you will be contacted again, this time by a “senior account manager”, who will be impressed by your trading results and will try to convince you that if you want to make some real money you will definitely have to invest like at least 10 000 USD. Believe it or not, but at that point most people do invest that kind of money. And next, when scammers realize that you do not have or do not want to invest any more, usually two tings happen – you might be offered a “professional broker” to manage the account on your behalf, or if you refuse, all your position will suddenly turn red and your funds will be depleted in a matter of hours or a day. All that is just part of the scam – scammers will manipulate your trading results as they please and if you say you want to withdraw some of your funds you will be refused, because of some minimum trade volume requirement, most probably linked to the welcoming bonus you have accepted, when you have opened your account in the beginning. The pretext for the cancellation of your withdraw request might be different, but the end result will always be the same – you will not receive a single penny back. But how scammers get to your GSM number in the first place? That usually happens through the so called robo scam websites like Crypto Revolt and Bitcoin Evolution, where you will be tempted by some amazingly profitable offer, of course totally “risk – free”, and where most people leave their e-mails and phones, just because they are interested and want to learn more. Honesty if you are a victim of a scam you do not have too many options. Still, the first thing you should do is to immediately file for a charge back with your credit card company. The good news here is that both VISA and MasterCard will allow you to do that within 540 days. The bad news is that if the scammers have tricked you to send them copies of your ID and a prove of address (an electricity bill for example), they will have a much stronger case against you. And if for any reason you have told scammers your credit card number or online banking password, immediately change the password and block your credit card. Finally, if you do not want to be scammed a second time do not accept the offers of the so called recovery agencies. They will just make you send them some money in advance and basically that will be the end of the story.